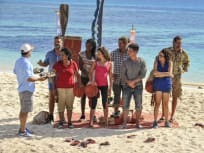 On Survivor: Game Changers Season 34 Episode 12, the castaways compete in the final immunity challenge and the jury must vote for the winner. 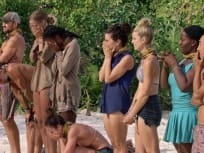 On Survivor: Game Changers Season 34 Episode 11, after competing in a difficult immunity challenge, yet another castaway is voted out of the game. 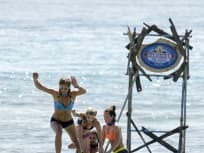 "It Is Not a High Without a Low"
On Survivor: Game Changers Season 34 Episode 10, the castaways compete in a grueling reward challenge and a one more person is voted out of the game. "Reinventing How This Game is Played"
On Survivor: Game Changers Season 34 Episode 9, a player must make a decision about revealing their secret advantage in the game to a trusted ally. "A Line Drawn in Concrete"
On Survivor: Game Changers Season 34 Episode 8, as the competition and the challenges continue, yet one more castaway is voted out of the game. 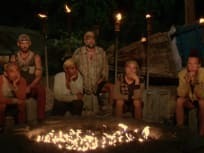 On Survivor Season 34 Episode 7, the castaways reacted to a shopping tribal council, but who was sent packing? "What Happened on Exile, Stays on Exile"
On Survivor: Game Changers Season 34 Episode 6, a new challenge takes its toll while yet another castaway ends up being voted off the island. On Survivor: Game Changers Season 34 Episode 5, a castaway is sent to Exile Island after a tribe switch, but the exiled player gets a surprise visit. 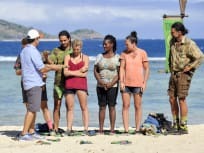 On Survivor: Game Changers Season 34 Episode 4, when a player loses their cool, they throw the game off balance, while another searches for an immunity idol. On Survivor: Game Changers Season 34 Episode 3, two tribes will be sending someone home, and a classic immunity challenge that sends players flying blind. 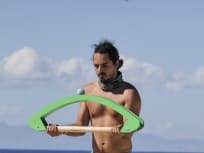 On Survivor: Game Changers Season 34 Episode 2, the game starts from scratch for one set of players when they drop their buffs and swap tribes. On Survivor: Game Changers Season 34 Episode 1, twenty of the game's biggest competitors return to play the game at Fiji's Mamanuca Islands.